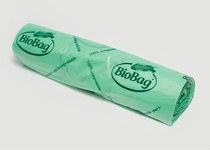 Biodegradable singlet bags, checkout bags, t-shirt bags. Will completely biodegrade and compost. 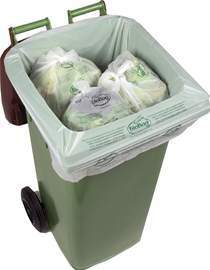 Biodegradable wheelie bin bags. 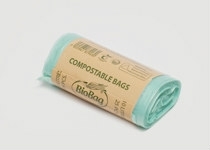 Biodegradable and compostable bags. 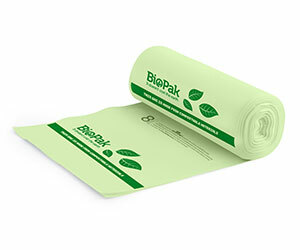 "BioPak BioPlastic Bags are made from a synthetic biodegradable plastic combined with plant-starch – Ecopond. 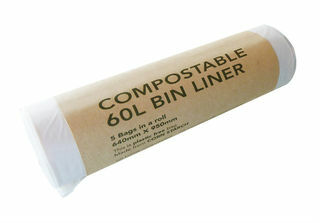 Certified home compostable to European standards, certified compostable to AS4736 Australian standards. 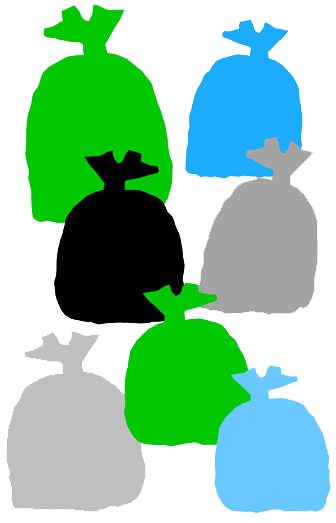 That means these bags are accepts wherever here are municipal organic waste collection services. If the bags do end up in the environment, they will biodegrade more rapidly than conventional plastic bags. 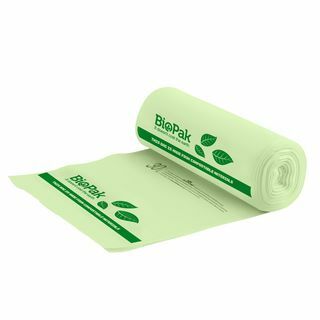 "BioPak BioPlastic Bags are made from Ecopond bioplastic Certified home compostable to European standards and compostable to AS4736-2006 Australian standards. 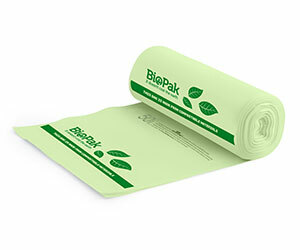 "BioPak BioPlastic Bags are made from a synthetic biodegradable plastic combined with plant-starch – Ecopond. 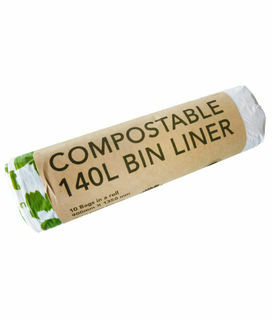 Certified home compostable to European standards, certified compostable to AS4736 Australian standards. That means these bags are accepted wherever here are municipal organic waste collection services. If the bags do end up in the environment, they will biodegrade more rapidly than conventional plastic bags. 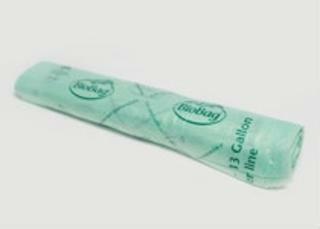 Carton holds 12 rolls (16 bags per roll) $253.80. 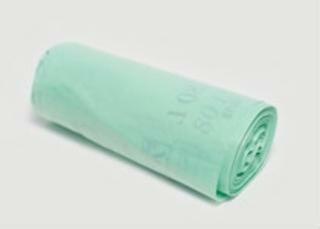 Carton holds 12 rolls (12 bags per roll) $259.00. Carton holds 12 boxes of 50 bags (600) $73.23. Individual Box holds 50 bags $10.61. 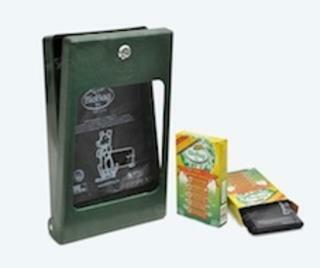 Ecoware premium quality bags are a more sustainable alternative to traditional plastic bags. 240L = 5 pieces per roll. Not recyclable. 30L = 15 pieces per roll. Not recyclable. The largest liner in our range, the 60L bin liner is designed for bigger kitchen bins and commercial uses. 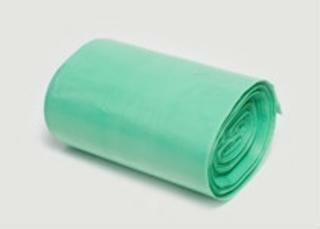 It is made from natural corn starch bio-resins and offers a true alternative to the traditional oil-based large bin bags that may contain polyethylene or other non-degradable plastics. 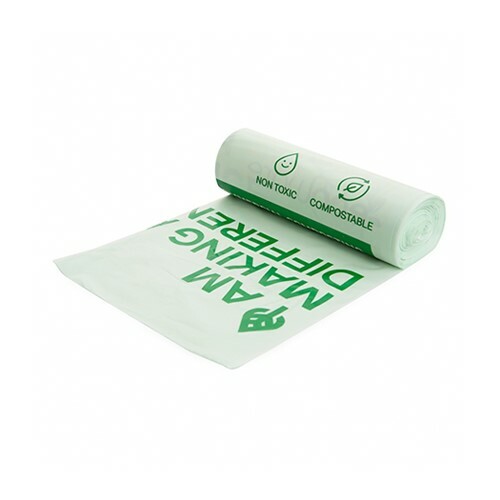 EcoPack’s compostable 60L bin liner is certified to strict Australian and European standards and completely degrades to carbon dioxide and water in moist conditions. 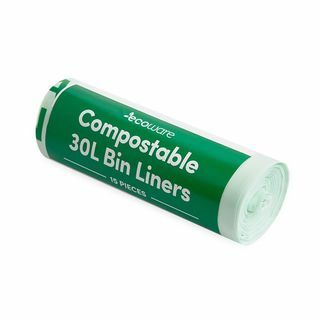 Biodegradable and compostable products are required to breakdown at a 90% level within six months in a range of settings that simulate litter and aerobic composting environments. Degradation and decomposition must be by genuine microbial action resulting in organic components. 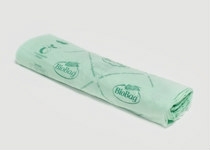 EcoPack’s large checkout bags are a sustainable and eco-friendly alternative to traditional plastic bags. 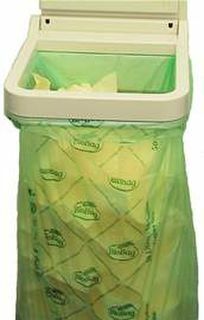 Made from a natural corn starch, these sturdy checkout bags are truly versatile – after carrying your shopping they can be reused as bin liners for organic waste and then simply dropped into your to compost system once they are full. In moist conditions they will degrade to carbon dioxide and water without leaving any harmful residues in the process. 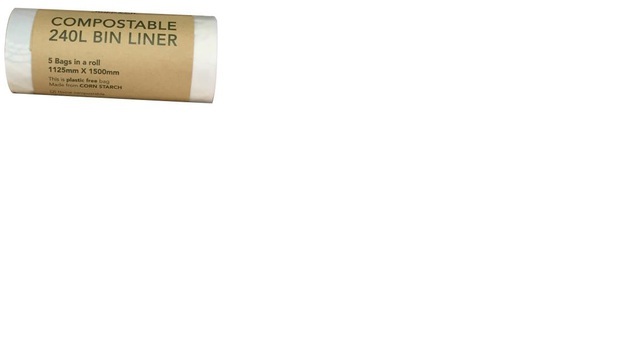 Demonstrate your commitment to cut plastic use by using these compostable checkout bags.